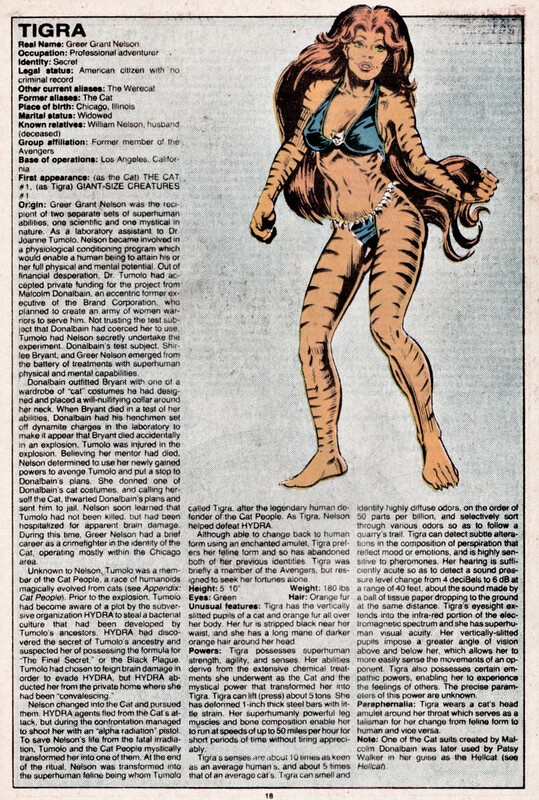 Greer first appeared in her own self-titled comic book titled . . .
. . . Tigra the Were-Woman! I always wondered how Greer as the Cat would compare to Patsy Walker as Hellcat. I mean, Patsy seemed to have major potential unlocked by the suit, but Greer did have the biochemicals and the training on top of the original Cat suit. I loved her as part of the Avengers Resistance. Gage used her well. hopefully she will be back with a team full time. At least she's appeared recently. 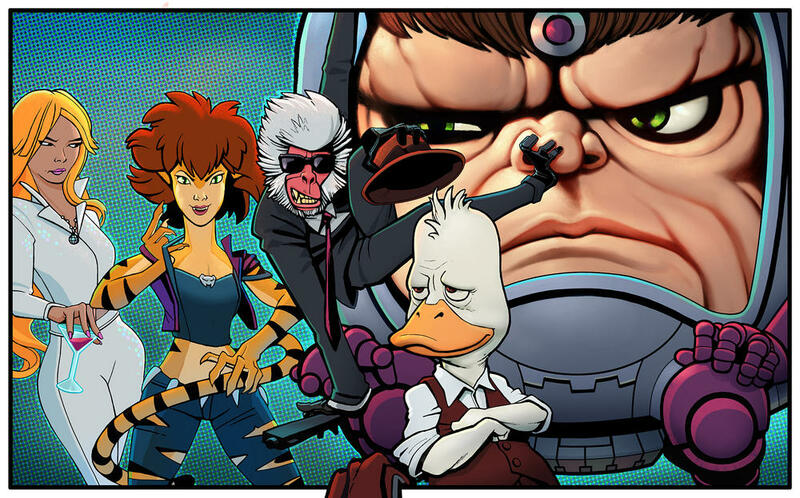 In the first arc of Kelly Thompson's West Coast Avengers. I would love to see Christos Gage do a Tigra mini-series! Greer seriously outclass Hellcat. Patsy is fun, but she didn't have the power set that Greer had. And then after the costume got trashed -- she didn't even have the night vision lens or the boot claws for climbing. Greer supposedly still has her empathic powers which could be a great benefit in a fight. Tigra's got a Hulu show! Weirdly, her co-star is Dazzler. It's the hair isn't it? 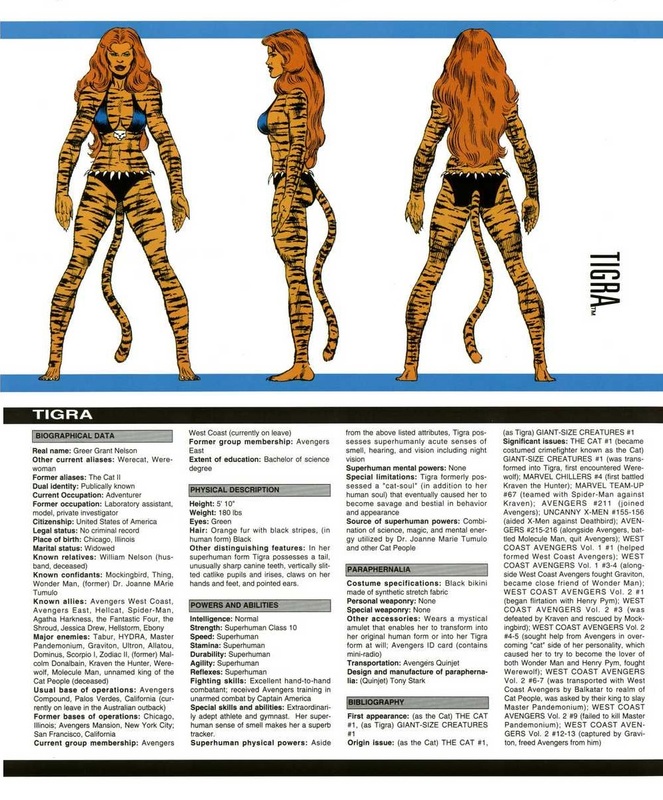 Hasn't Tigra always had long hair in the comics? Yes. Even as Greer, it was last her shoulders. To be fair they were never gonna let her look like she does in the comics, they know the furries would have a field day with that.